cial and red in colour or those which lie deeper and appear purplish-blue in colour. Thanks to its particular characteristics, it keeps the epidermal layer perfectly intact improving tolerability for the patient. In addition, its gentle and selective action allows performing the treatment also on dark and sensitive skins or where other techniques cannot be used. Velure S9/940 represents a step forward in laser technology for the treatment of vascular lesions of lower limbs, being able to treat larger, deeper and bluer vessels than visible wavelengths. 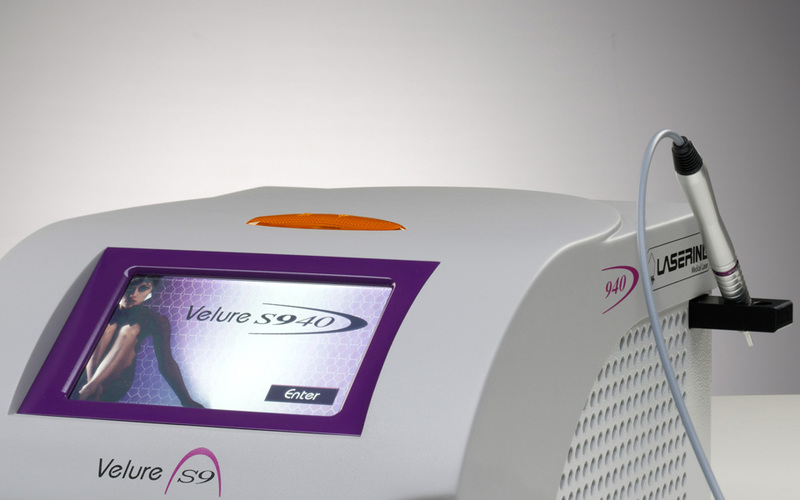 Velure S9/940 is also the ideal instrument not only for the treatment of face and leg capillaries, but also for the endovenous laser treatment of saphenous vein insufficiency. 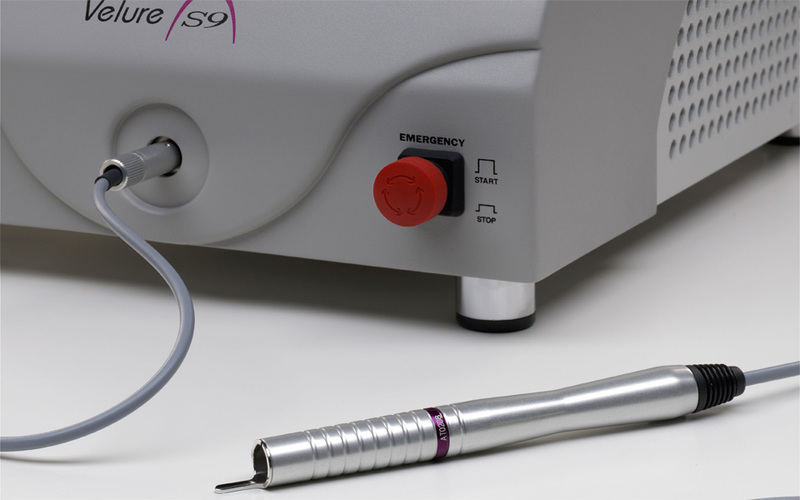 The wide choice of handpieces and fibers, together with user-friendly and intuitive software, makes this laser system suitable for a broad range of surgical applications.